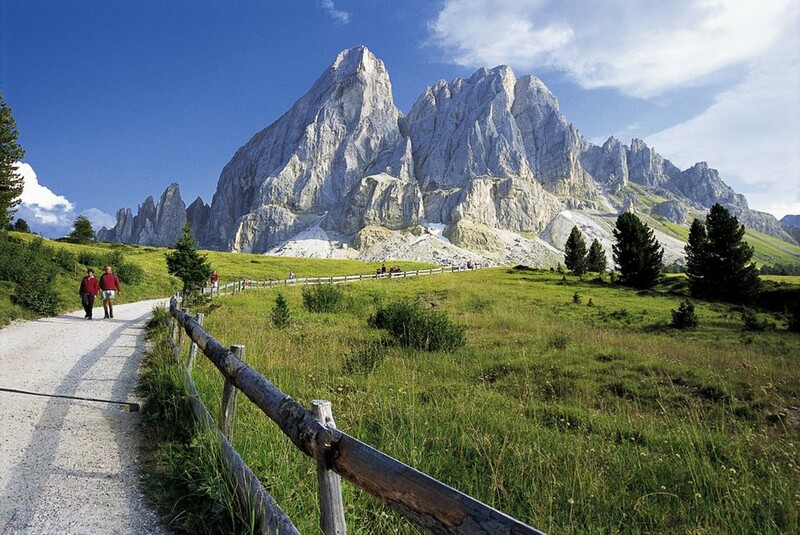 The Dolomites, a jewel among the Italian Alps. 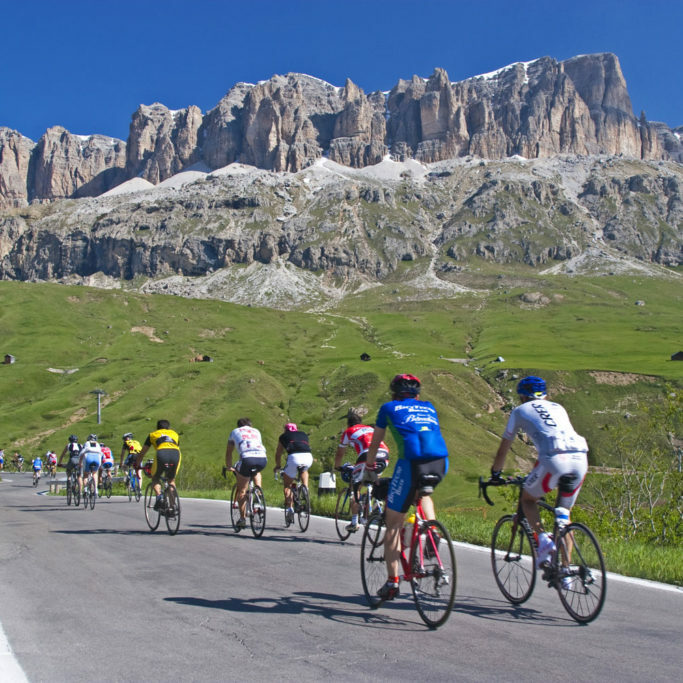 Here Road Bike Tours Italy organizes an epic Bike Tour. 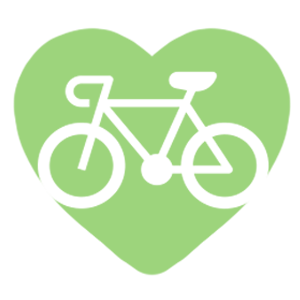 We will deal with very famous Passes:Passo Pordoi, Passo Gardena, Passo Sella and Passo di Campolongo, Passo San Pellegrino, Passo Giau and many more. We will ride in an unforgettable, unique mountain scenery, we will stay in enchanting accommodation and delicious dinner will allow us to get in touch with local culture. 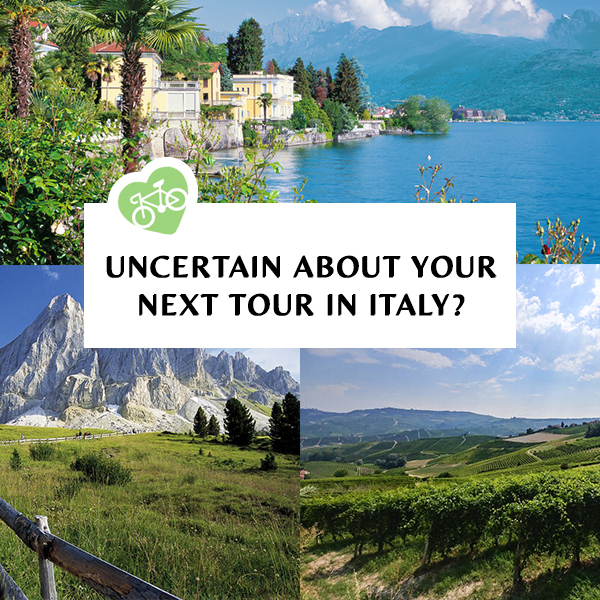 We can therefore expect a week which is demanding but extremely rewarding and Road Bike Tours Italy will make this trip accessible to all participants, thanks to the constant presence of the minibus and technical guidance throughout. 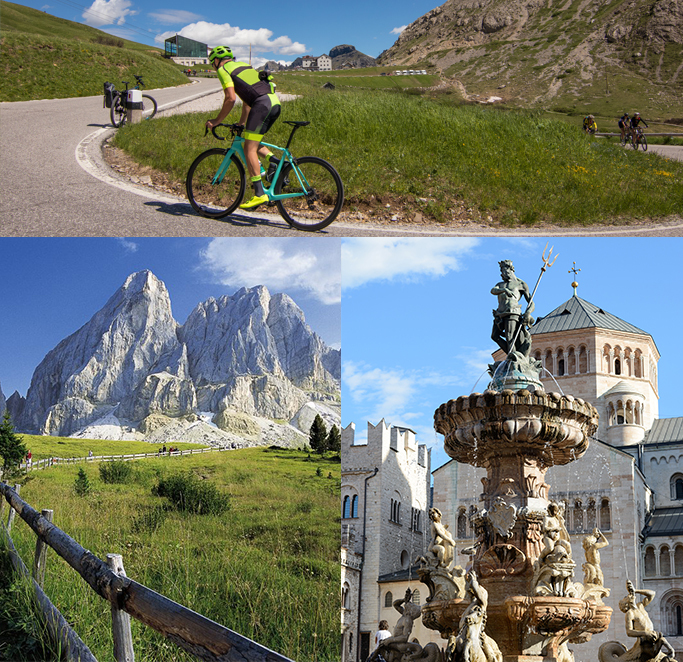 A week of high mountains and their great Alpine passes where Giro d’Italia legends were born. Welcome from the staff and bike tour presentation, before dinner visit Trento. After breakfast we transfer with our minibus from Trento to Borgo Val Sugana. Here start the famous road that lead us on the top of Passo Manghen, one of the most important Dolomites Pass of Giro d’Italia. This ascent is 23.5 km long with a difference in altitude of 1629 m.with average gradient of 7% and maximum of 15%. A breathtaking view make this demanding stage less difficult, and our minibus provide assistance and help if we need. A funny descent take us in Val di Fiemme. 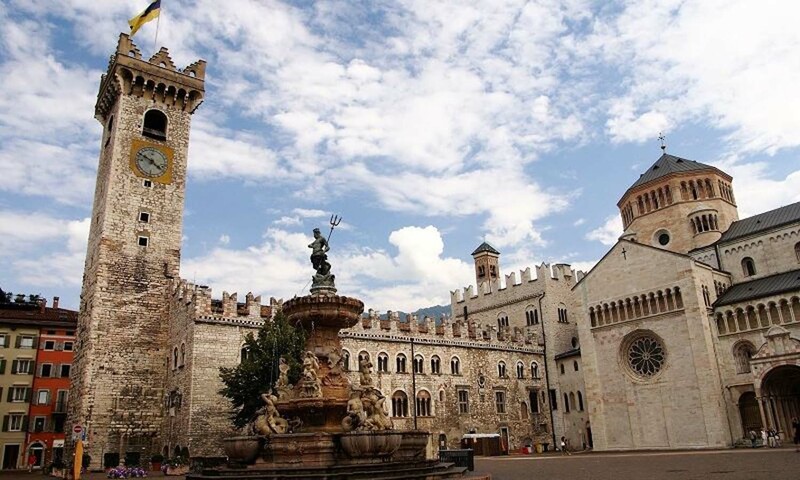 A tasting “aperitivo” in a spectacular environment is waiting for us. Famous all over the world, this loop is an icon for all the cyclist. Passo Gardena ,Passo Campolongo, Passo Pordoi, Passo sella. 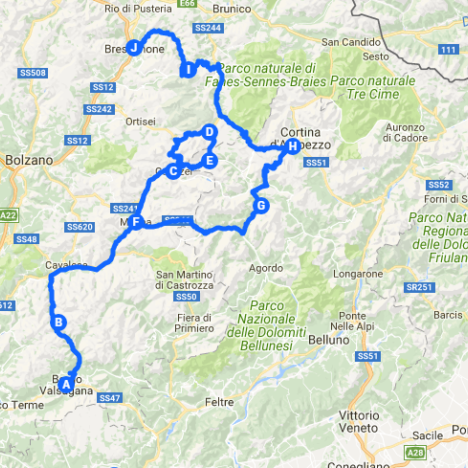 This four passes tour has a difference in altitude of 1950m and is 66 km long. 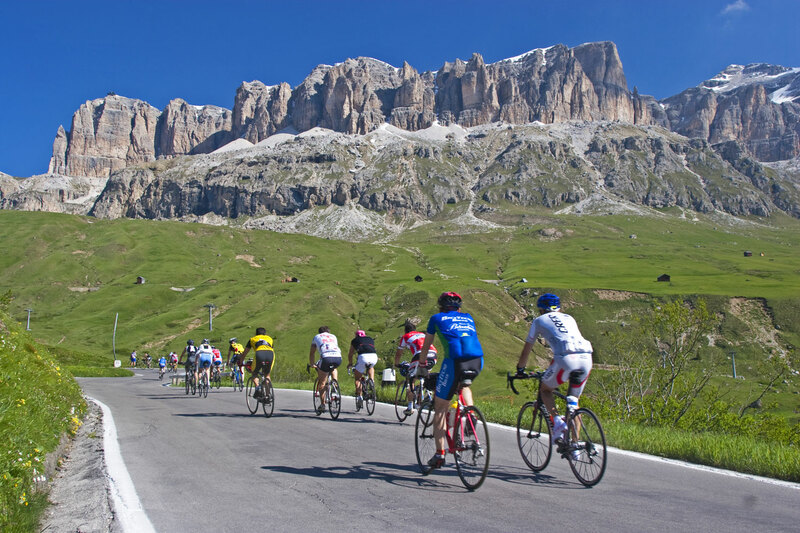 Impressive mountains surround us while we deal with this epic Giro d’ Italia ascents, an historic cycle experience. Finish this important ride will be a great emotion. Today we deserve a less difficult day. 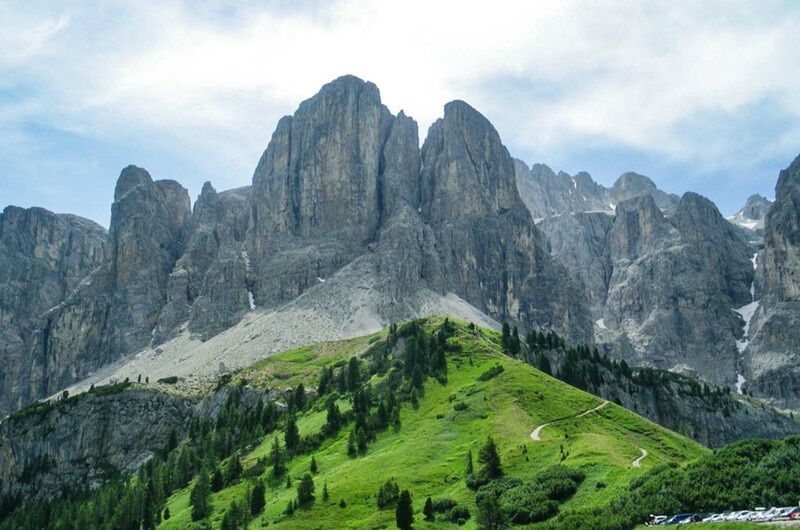 We leave Val di Fassa and going toward south we meet a new valley: Valle San Pellegrino with is Pass. 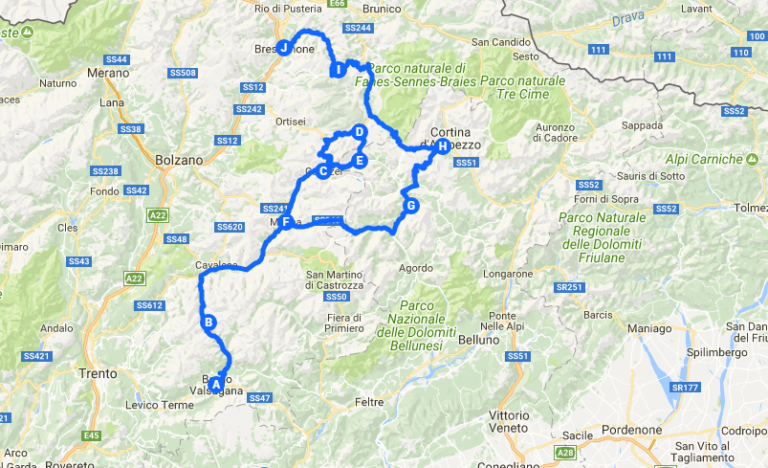 With this stage we change region, from Trentino to Veneto. This ascent is 12 km long with a difference in altitude of 778 m. and a gradient average of 6.8%. Alleghe with its enchanting lake is waiting for us. Today we deal with Passo Giau and Passo Falzarego. 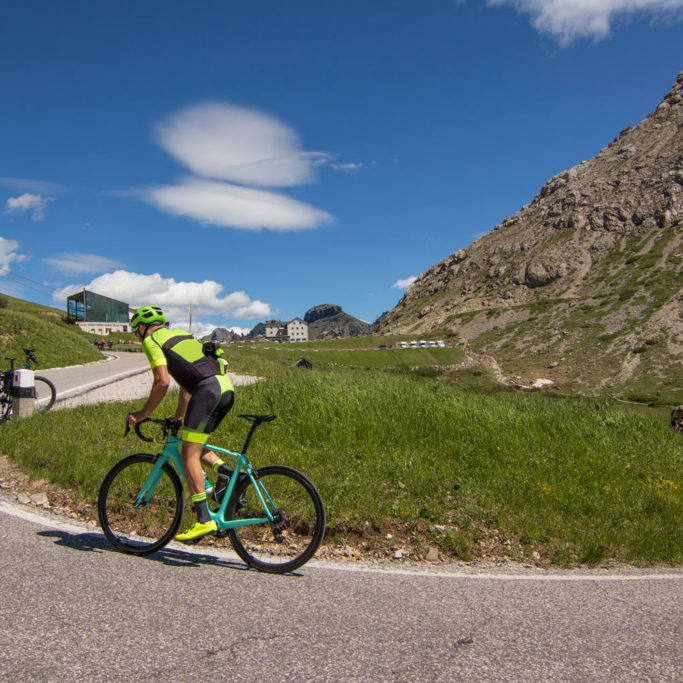 The first, Passo Giau, is 10,5 km long with an average gradient of 9.1%. Riding on this pass we have to save some energy for the next: Passo Falzarego. 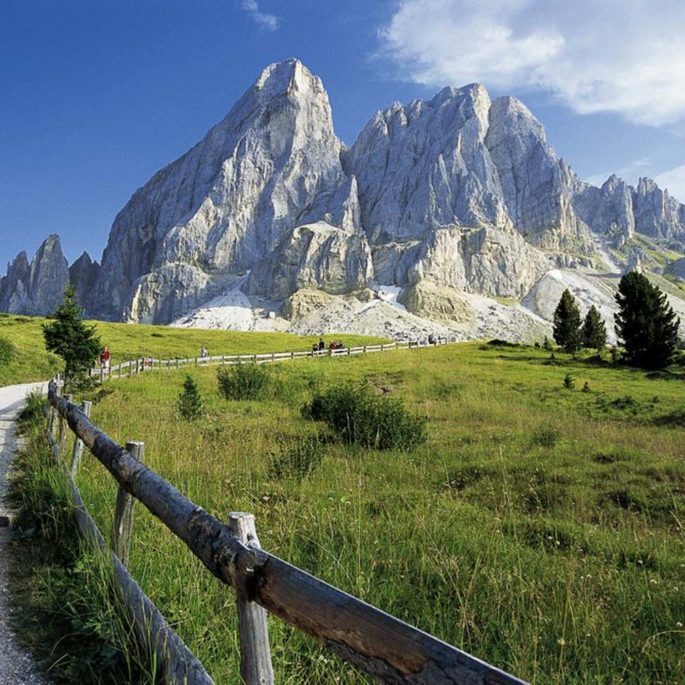 Less demanding this pass opens us the door of extraordinary Val Badia, the valley of Ladins. 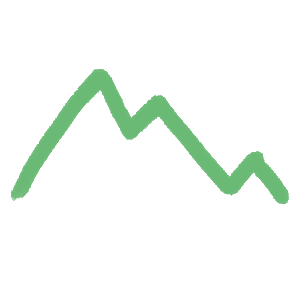 Here we have the opportunity to get in touch with local culinary traditions. The last stage of this complete Tour of this fantastic area. 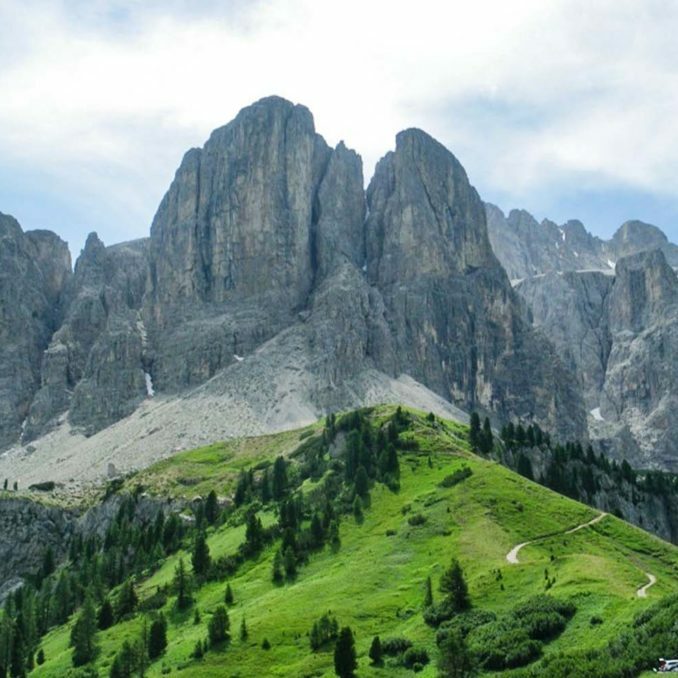 Passo delle Erbe is a differente pass, it is divide in three parts. The first: 6 km really demanding with an average gradient of 8% ,maximum 15%. The second: 3 km descent where we can recovery energy. The third: 6 km less demanding that take us on the top. Here start an amusing descent, Bressanone is our last goal. 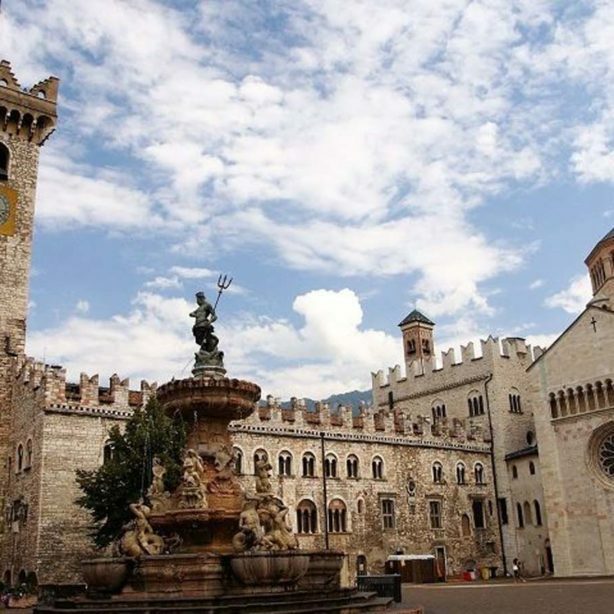 Breakfast and transfer to Trento.